What we want for California! The California National Party is working to bring this and more to the residents of California - Join Us! The California National Party seeks to build a stronger and more prosperous California through local political empowerment, protection of individual rights, and encouraging social responsibility to maintain a rational, respectful, peaceful, and sustainable society. Our Platform is based on solutions, not ideology, and is written by our members, not powerful, moneyed interests. As conditions change and we mature as a party, we will continue to develop our platform—giving YOU a chance to help shape California's future. Want to know more about who we are, what makes us different from other political parties, what are our goals, and how do we plan to achieve them? Take a look at our Frequently Asked Questions to learn the answers to these and other important questions. We are a grassroots, all volunteer organization made up of Californians seeking a better life and fairer government for us all. Work with us to help make this new California a reality. 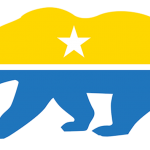 Help us reach qualified status and make your party registration matter by joining the California National Party! For most people, it can be done online in less than 5 minutes. Wear the Bear and show your California pride! Find clothing, posters, mugs, and bags, with all proceeds supporting the California National Party. Our party is not backed by any corporations or political special interests, but funded exclusively by our supporters. Please donate and help us keep the struggle for a new California alive!